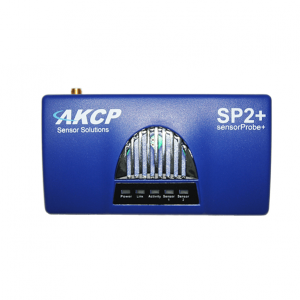 The AKCP In-Line Power Meter monitors power consumption for power strips or individual network appliances. 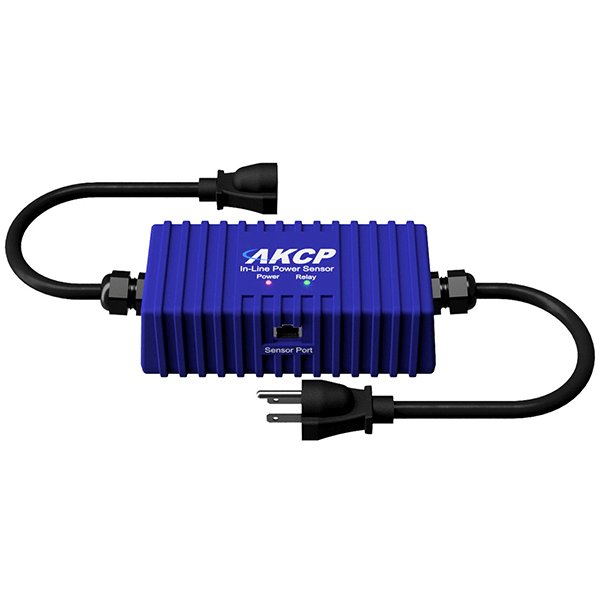 The AKCP In-Line Power Meter goes between the electrical source and the power strip, or individual appliance, monitoring the voltage (V), current (A) and Kilowatt Hours (kWh) being consumed with billable grade accuracy. Remotely switch devices on and off with an optional relay. Relays are Bi-Stable Latched relay, which retains it’s state regardless of whether it is receiving power or not. Removing the controller from your power strip allows you to use a low-cost basic power strip. 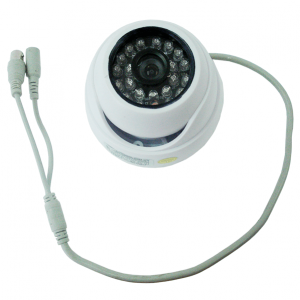 This gives several advantages, in addition to the cost savings. 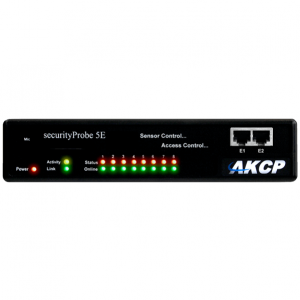 • A single IP address to monitor multiple cabinets. • As future needs increase, just change the power strip no need for a new controller and power meter. • Graph power, voltage, current parameters. 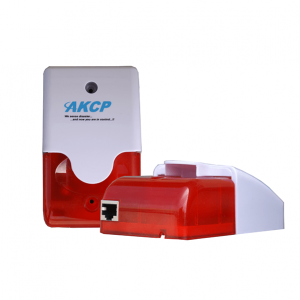 Install an AKCP smoke detector inside the cabinet, together with the in-line power meter and optional relay gives the ability to shutdown power to the cabinet when smoke is detected. By doing this, we are able to isolate the incident to a single cabinet and avoid escalation of the event to a complete data center shut down and deployment of gas suppression systems. The deployment of this technology in every cabinet can avoid the catastrophic “100-year event” scenario, which leads to a complete data center shutdown. By cutting the power to the cabinet in question, we kill the source of energy for the fire, and isolate the shutdown to the single cabinet only. A data center fire can have serious consequences for operations, finances, and in the event of gas system release, pose a health hazard. The AKCP Fire Suppression System can avoid these consequences, saving you from lost revenues. A one-time event could pay for the cost of the system itself. 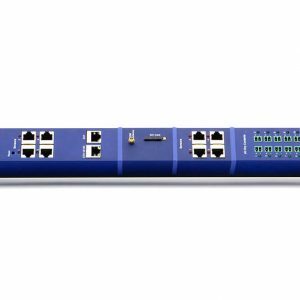 Manage up to 16 cabinets* on a single IP address, turning your basic power strip into a smart PDU. 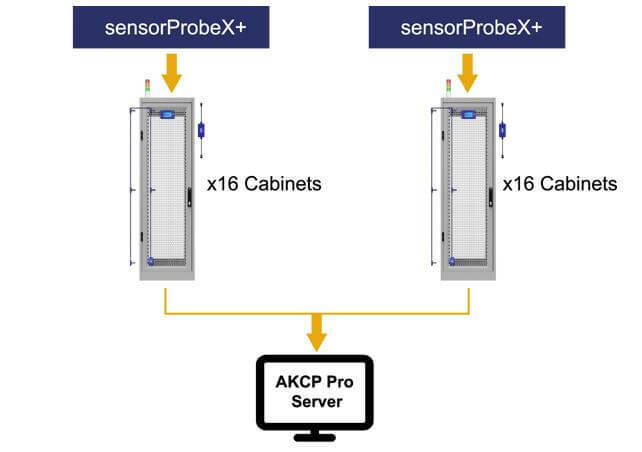 Monitor multiple SPX+ base units from a single user interface by connecting them with AKCP Pro Server centralized management software. Build up your data center from a Rack+, to a smartRow to a smartCenter.